You’ve been telling me that it’s crucial Helensville’s great potential is realised. To do this, we need to get funding for better transport links to the township and surrounding areas, which in turn will allow increased business opportunities and travel options (quicker and safer being the aim there). Part of the answer must lie in improving infrastructure, such as the existing railway line. The prospect of linking Helensville township more effectively with Auckland and elsewhere is especially exciting. As your local MP, I’ll always lobby the government of the day to provide better opportunities for our area. The current regime has said they will establish a “Provincial Growth Fund”, with “all regions” being eligible to apply for funding. On hearing that, my first question was whether Helensville would be included. Is it within a “region”? I’ve written numerous times to the relevant Minister, Shane Jones and received only cryptic replies so far. 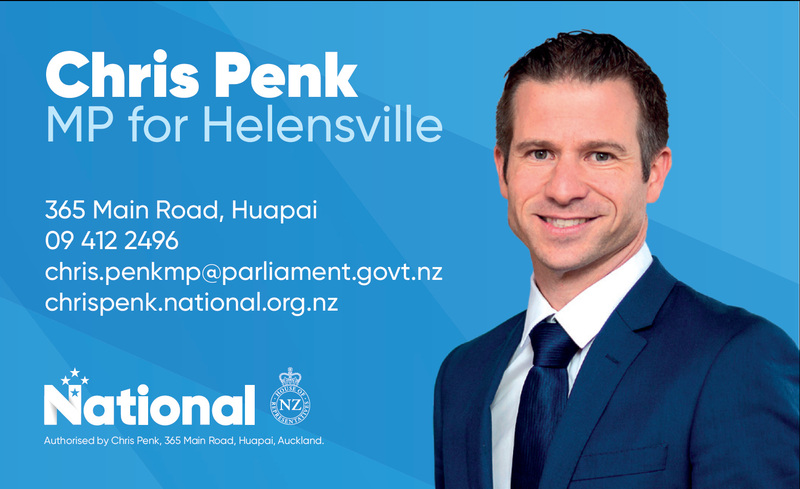 On the one hand, Helensville could easily be described as “regional”, “provincial” or “non-metropolitan”. Such descriptions would suggest that infrastructure projects in Helensville (for example, upgrading the rail line) could be supported under the Provincial Growth Fund. On the other hand, Minister Jones has been telling me personally that “Auckland” projects are excluded from the scope of the Fund. Given that Helensville is technically within the Auckland boundaries (given the unitary council set-up) this arguably means that our project proposals won’t even be considered. The lack of clarity is frustrating to say the least but I’ll keep pushing the government to provide some answers. And I’ll be sure to keep you updated. I’m hoping that in next month’s edition of Helensville Community News I will be able report back with more information on this point, one way or the other. Watch this space! And wish me luck!